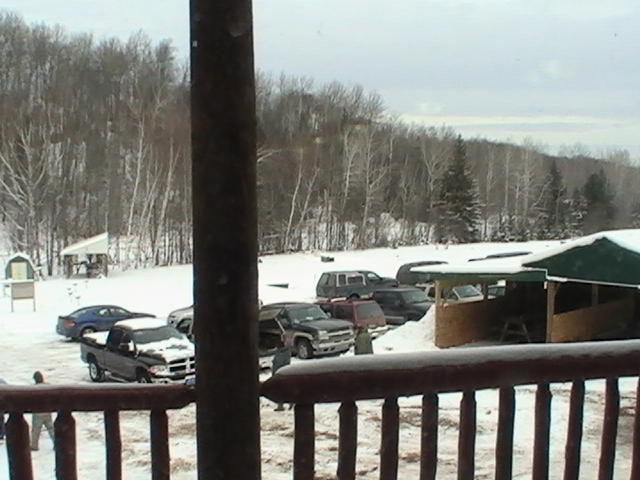 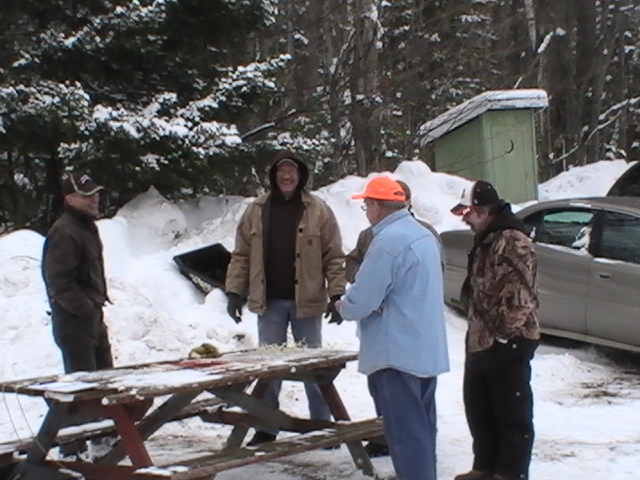 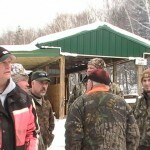 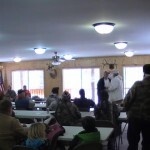 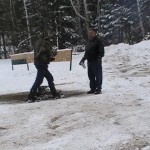 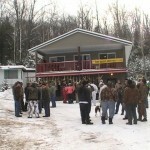 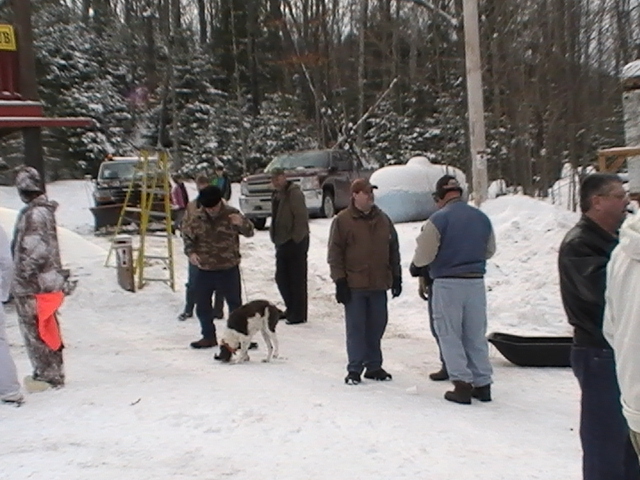 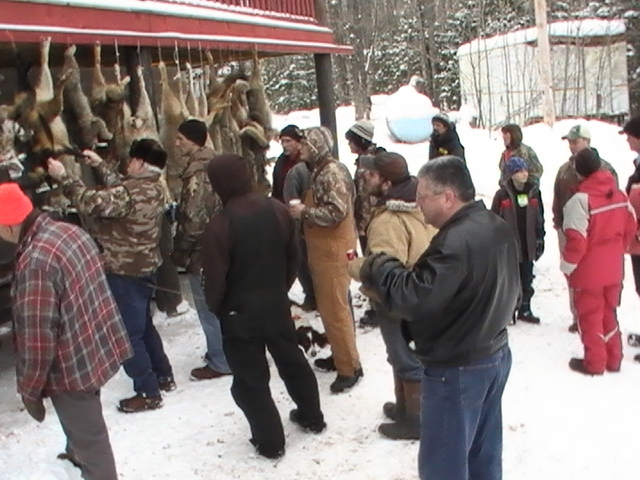 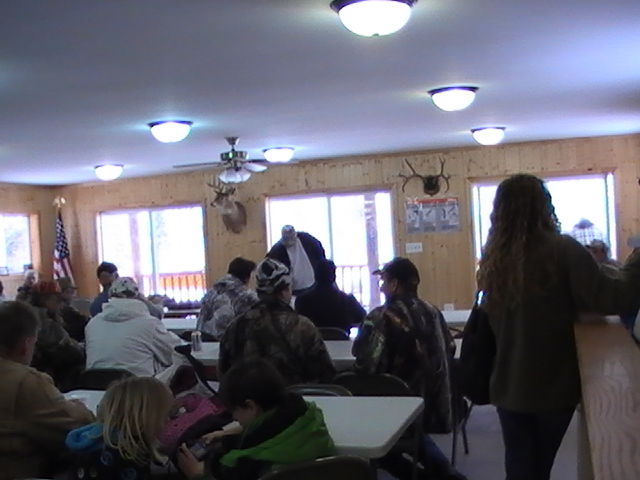 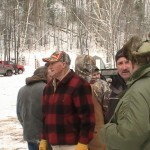 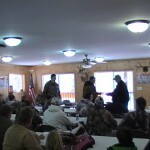 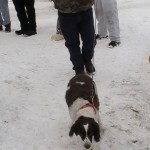 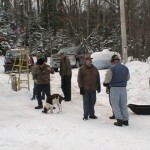 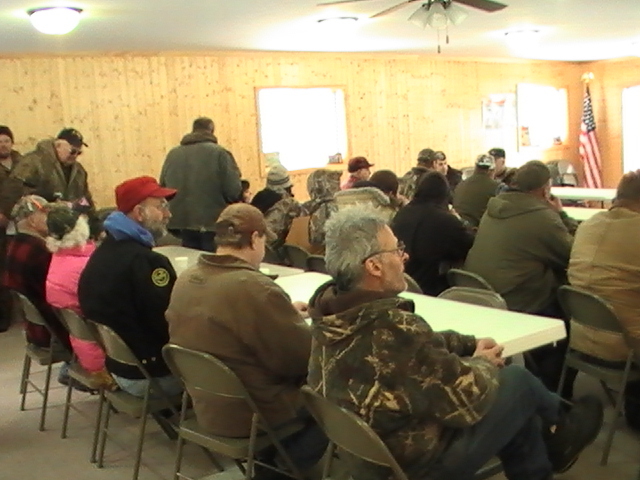 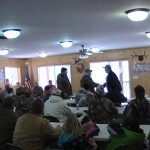 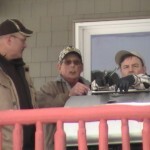 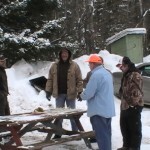 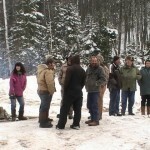 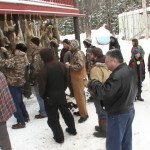 Successful 11th annual U.P. 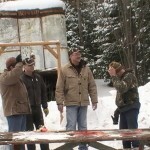 Predator Challenge. 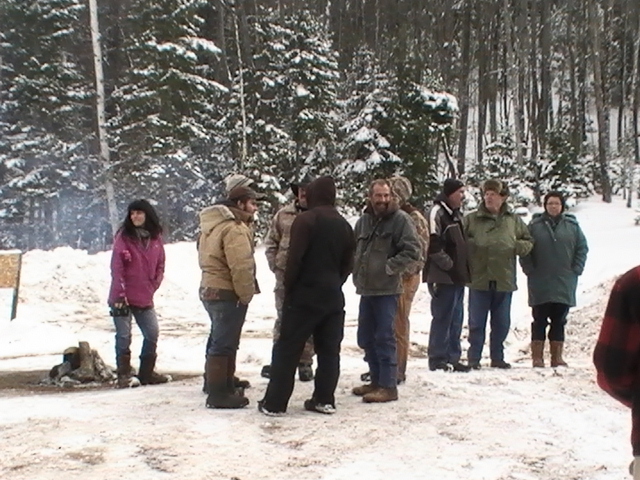 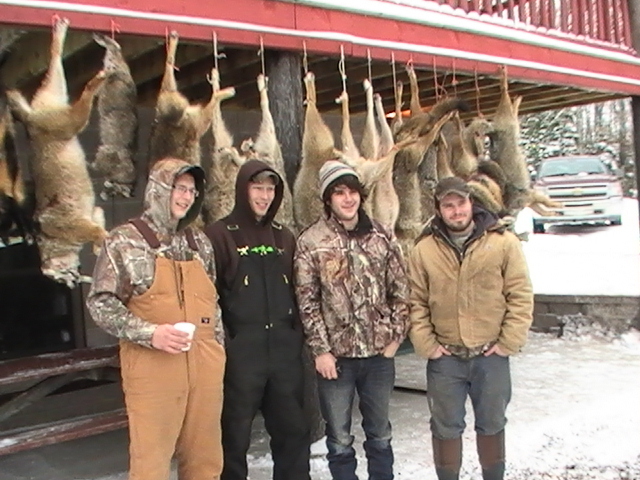 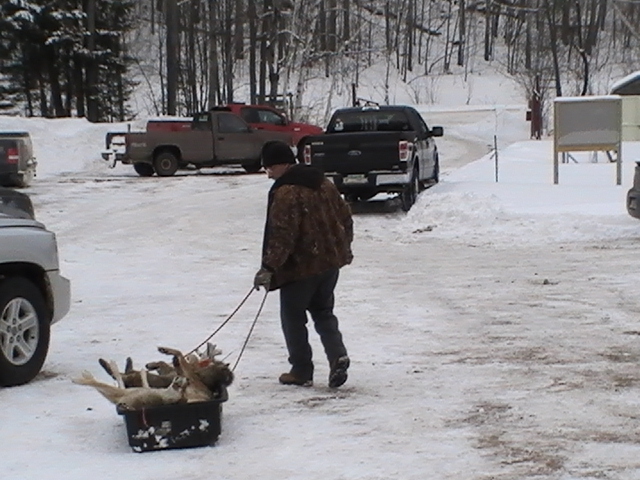 The 66.5 hour hunt began January 24th at 7:30 p.m. and finished with a total of 55 hunters, claiming 27 predators which included: 24 coyotes, 2 bobcats, and 1 not so sly fox. 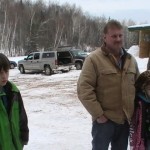 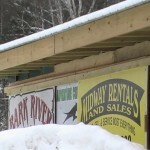 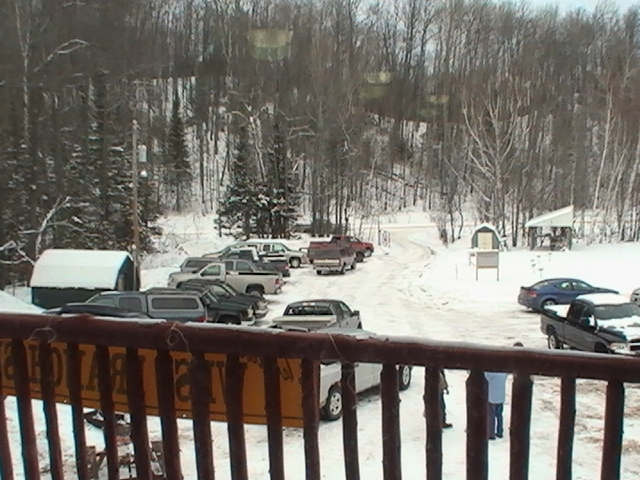 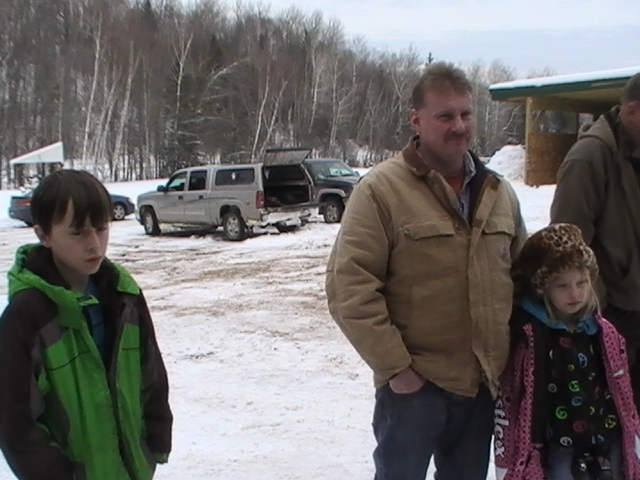 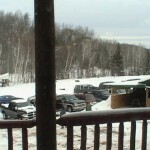 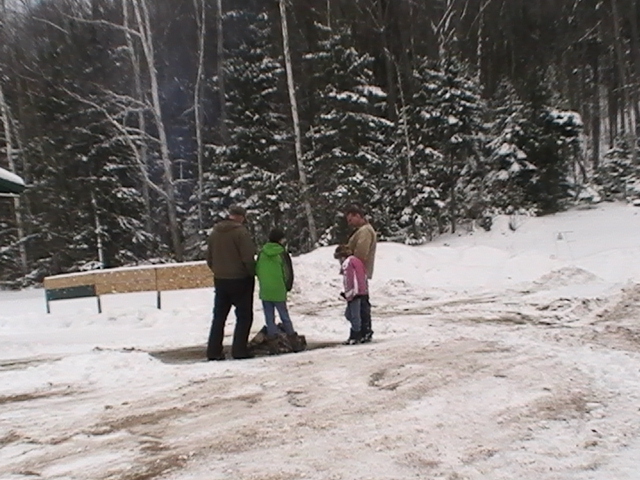 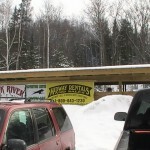 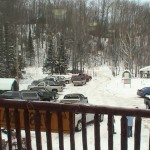 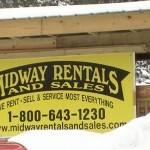 The challenge is only possible with help from local businesses like Midway Rentals and Sales of Negaunee. 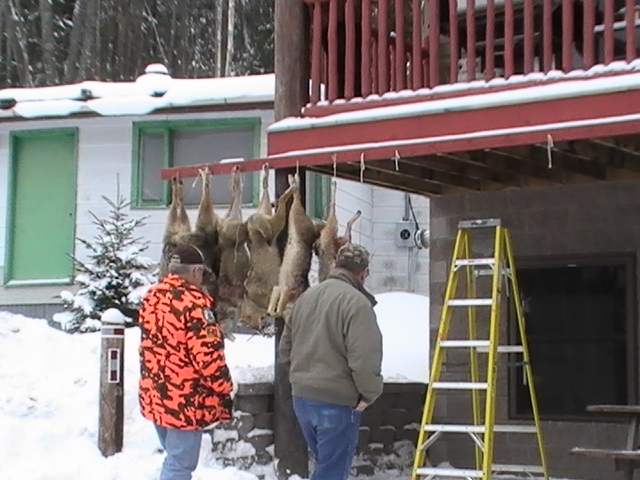 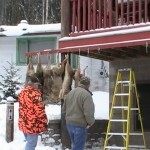 Hunters covered all around the Upper Peninsula, ranging from Ishpeming, Skandia, Newberry, Curtis, Ford River, Rock, McFarland, and Negaunee. 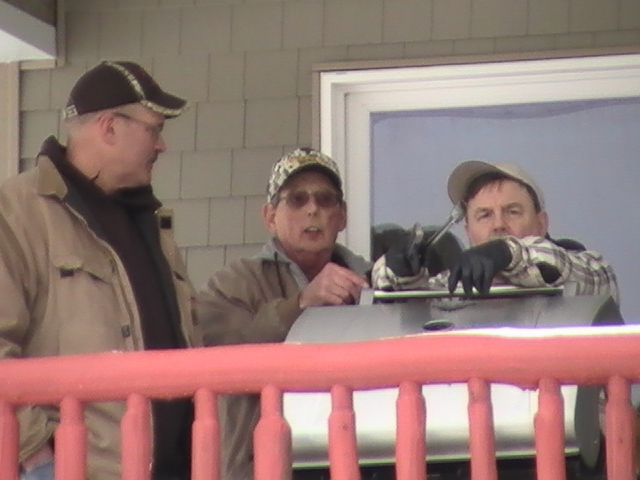 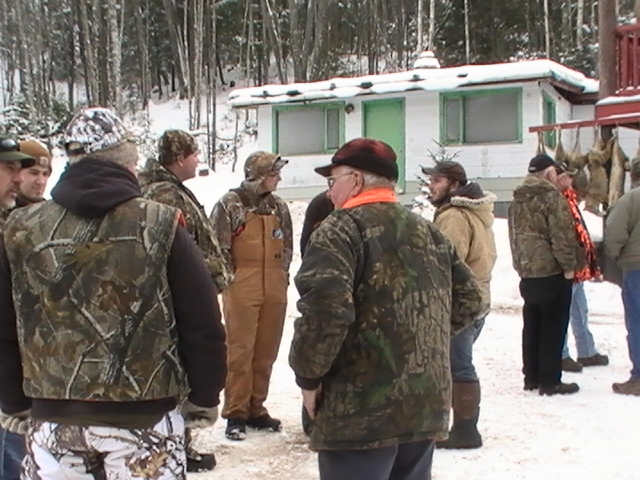 While many hunters gave clues to their spot most were territorial and return to the same secret spots. 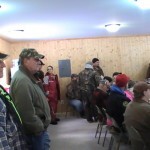 This year their were 8 successful teams checking in. 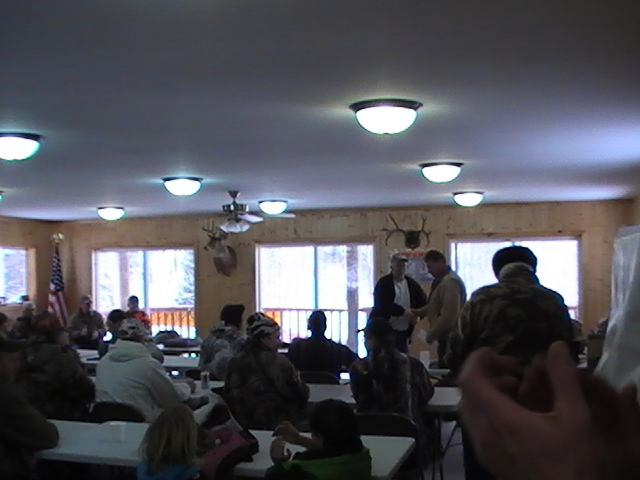 With cash prizes awarded to the top 4 teams. 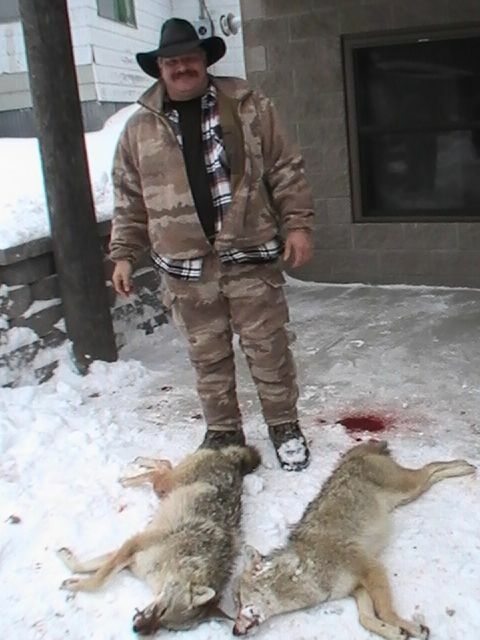 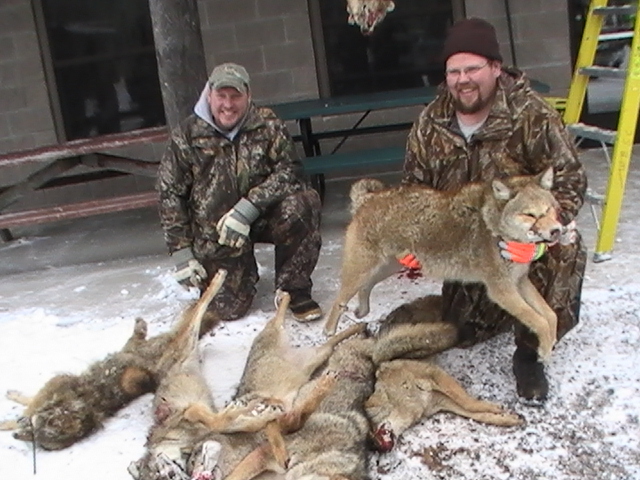 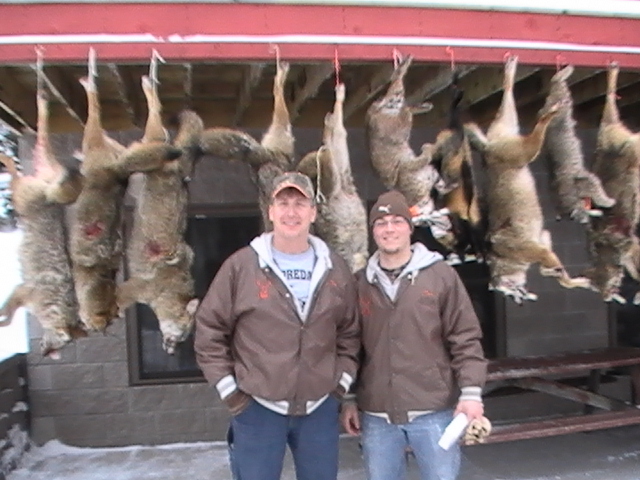 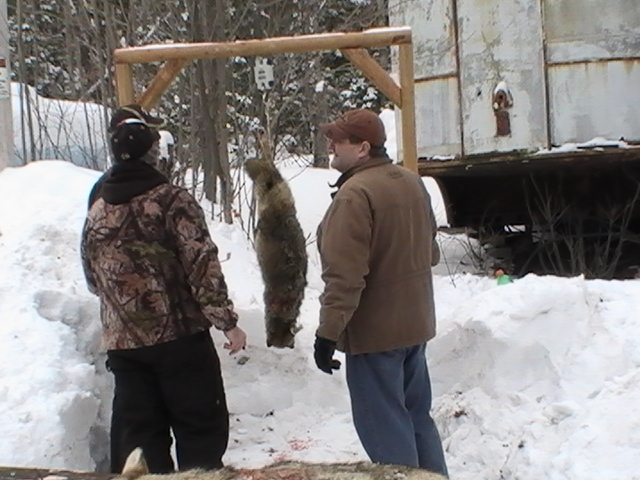 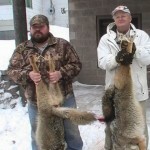 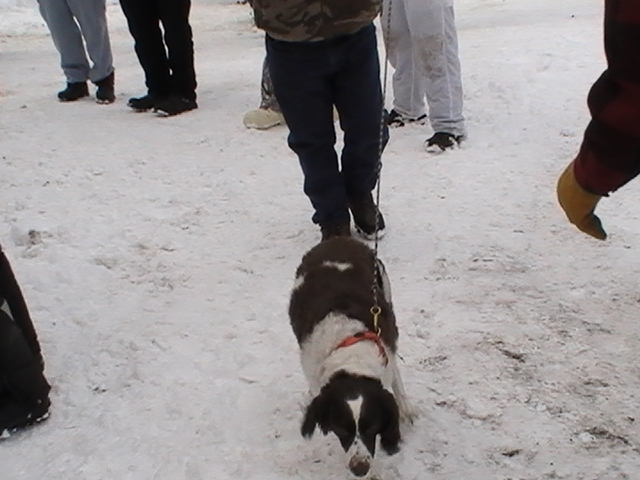 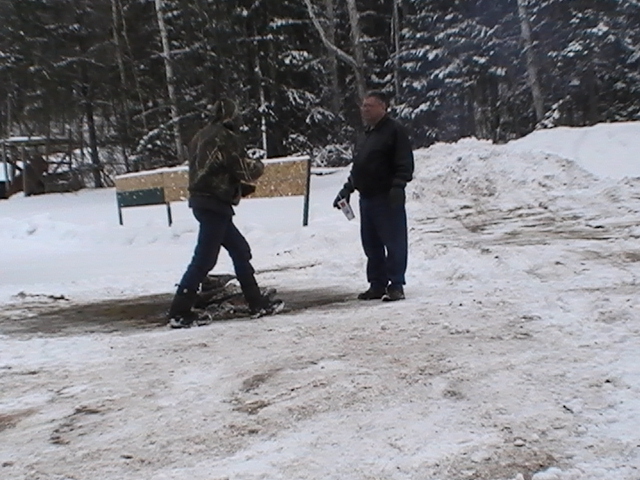 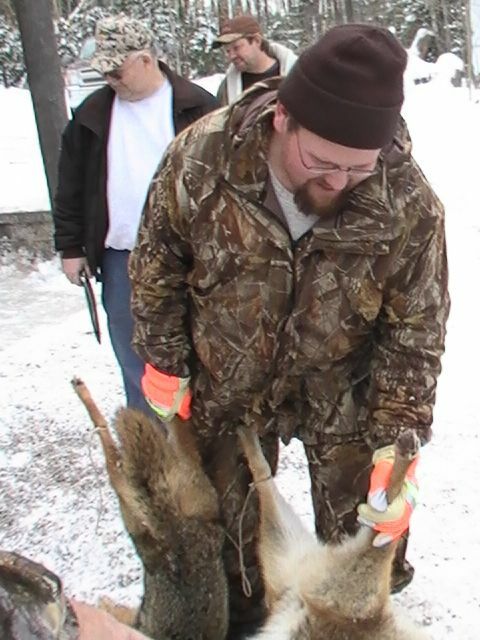 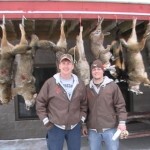 Jake and Joe Tyner – 1st place winning $800 and a special $100 for heaviest coyote. 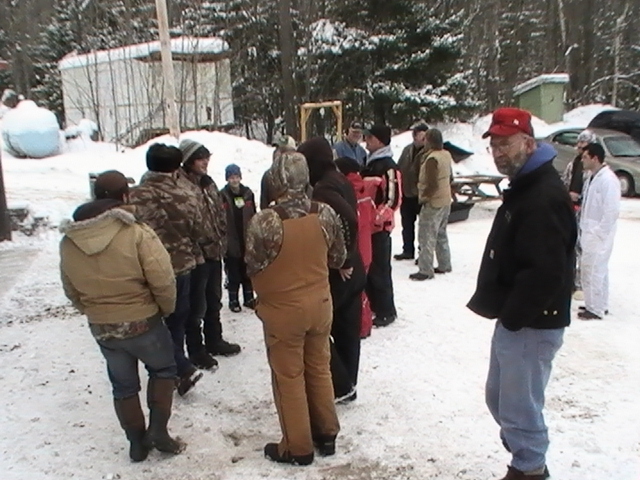 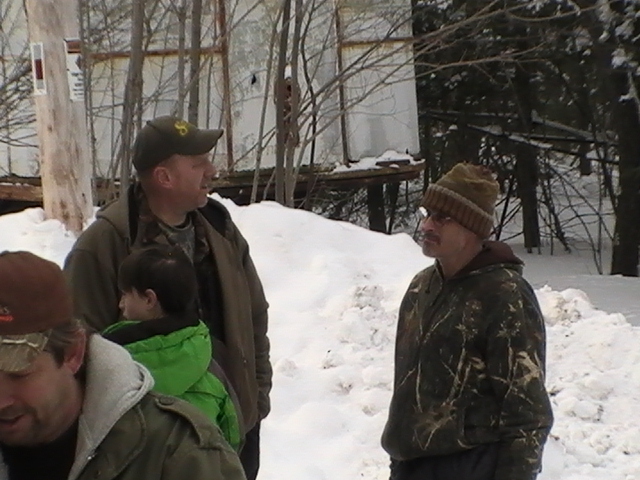 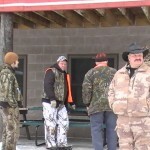 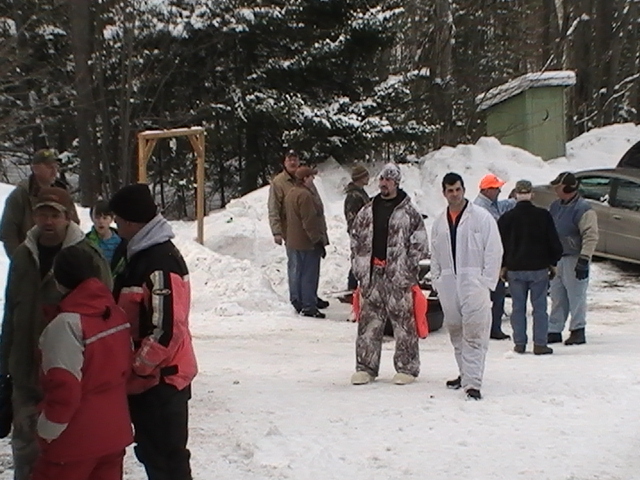 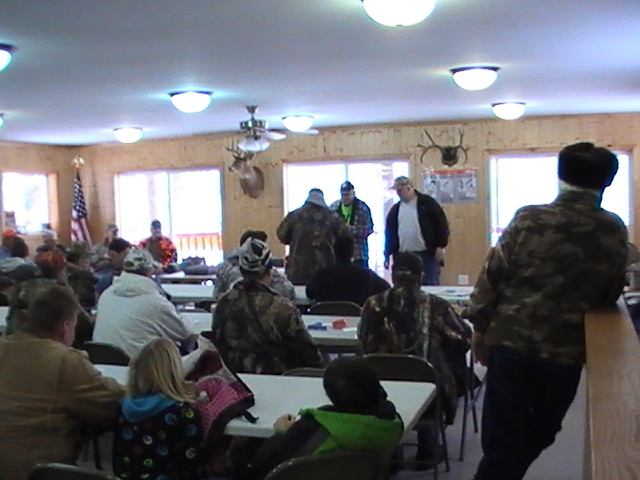 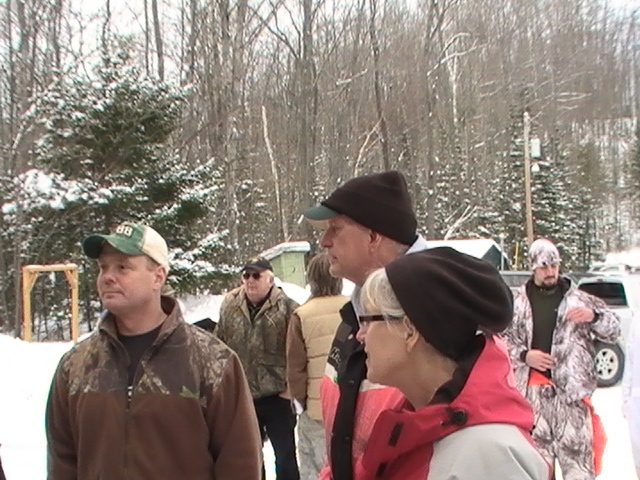 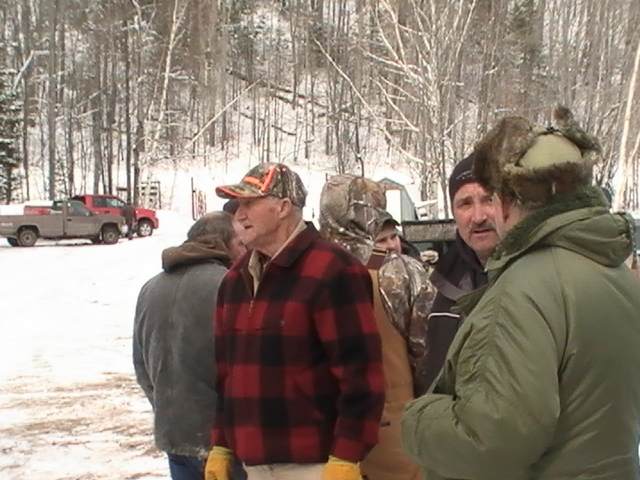 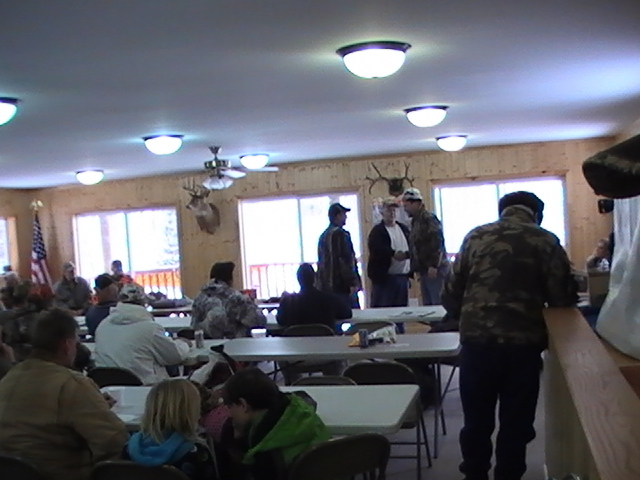 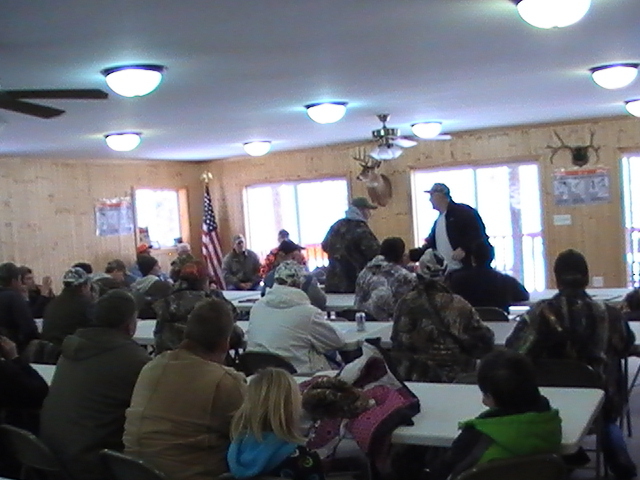 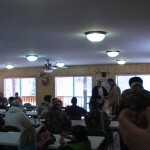 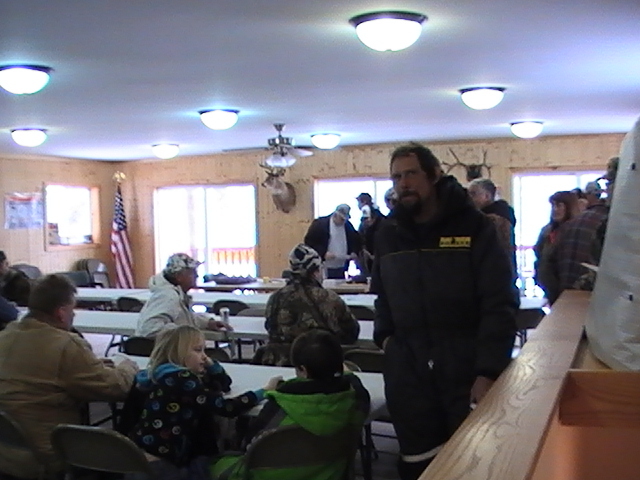 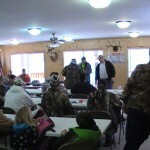 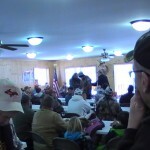 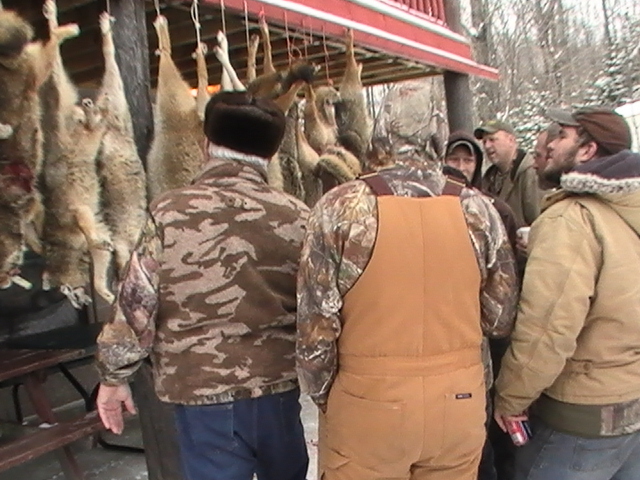 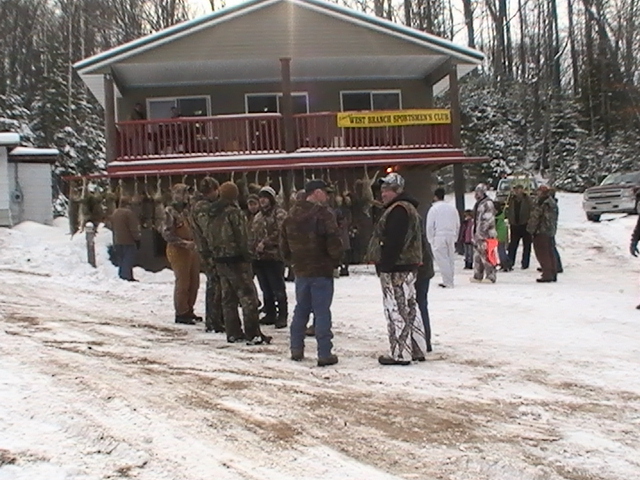 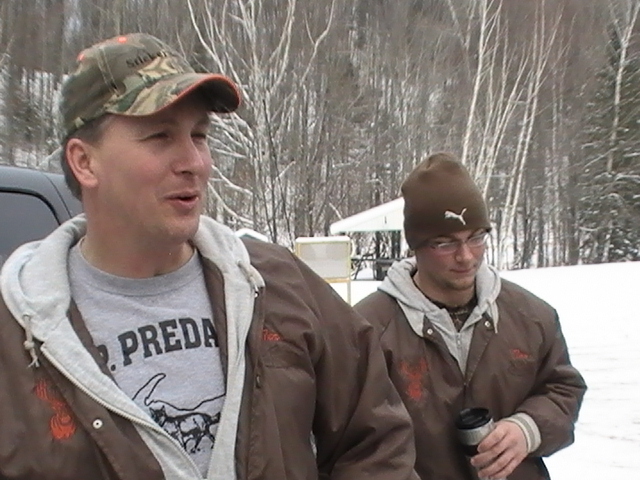 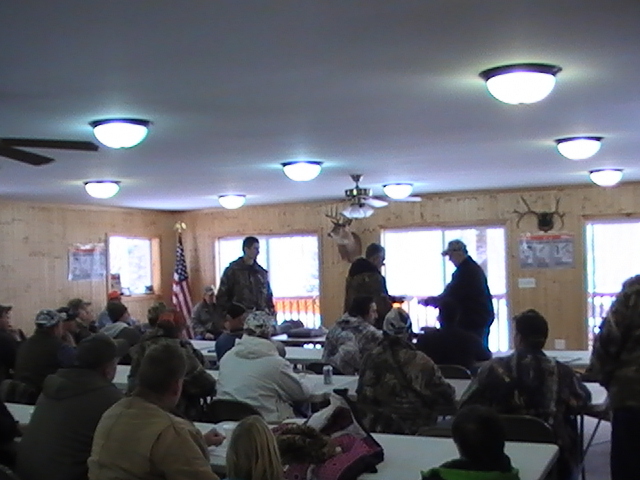 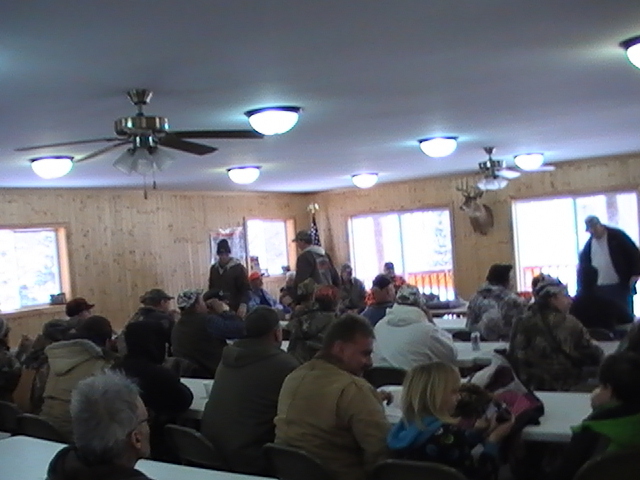 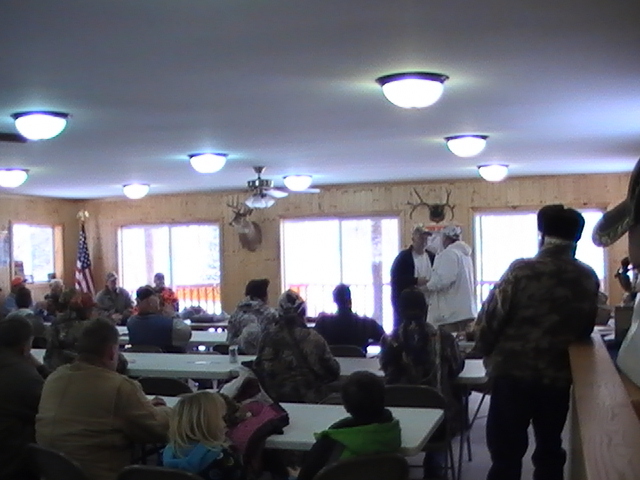 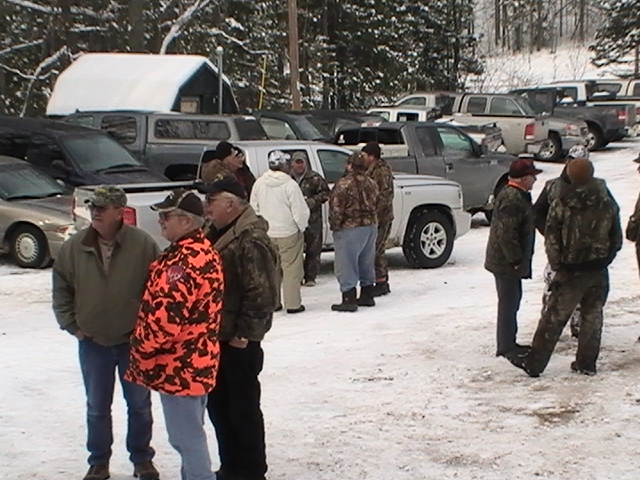 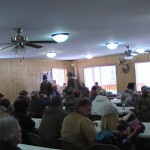 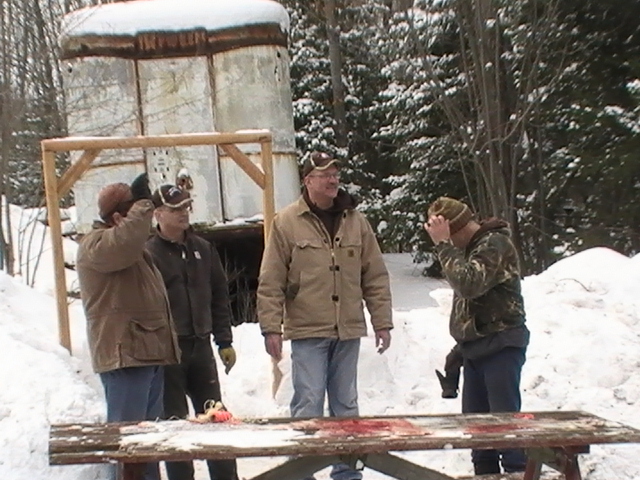 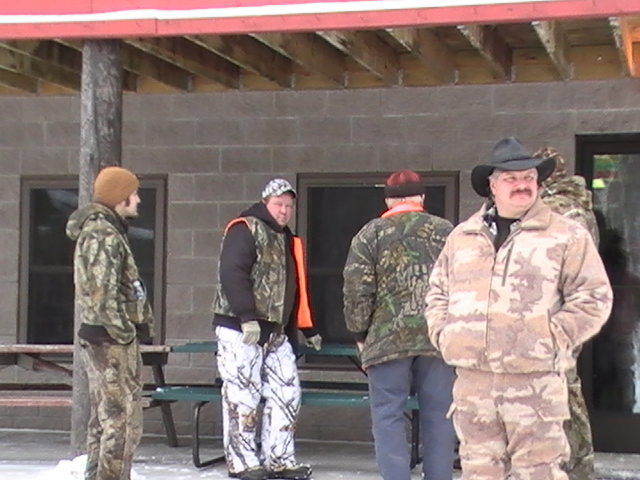 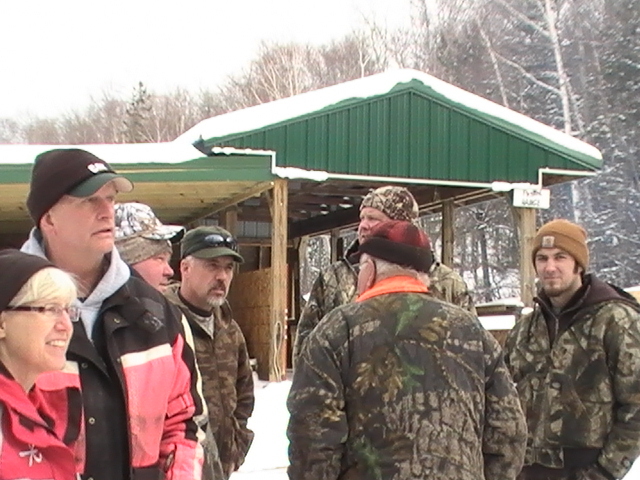 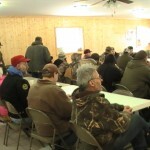 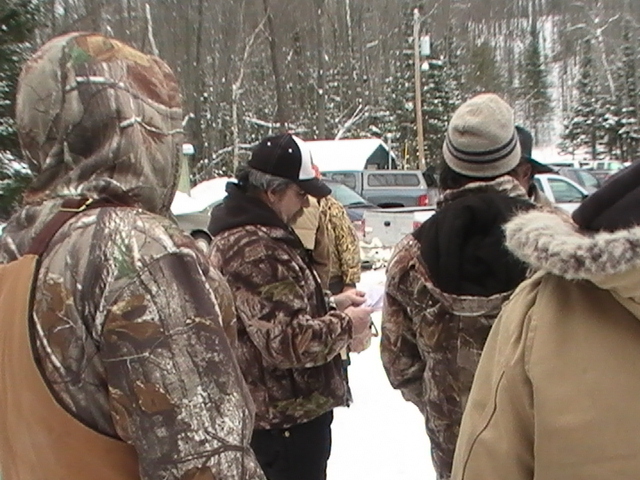 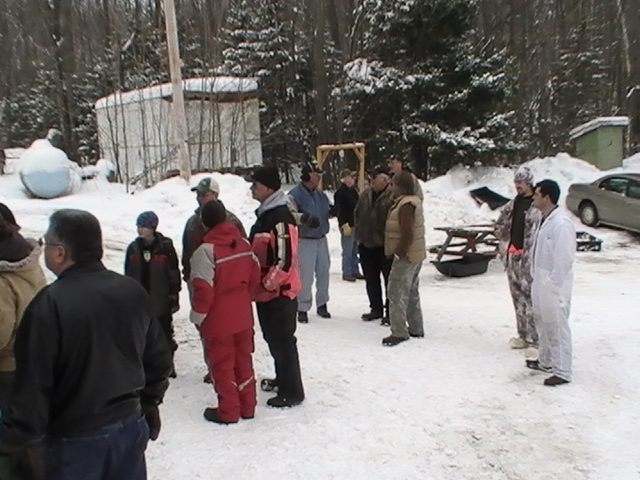 The UP Predator Challenge has been a local tradition for 11 years and was a one of a kind hunt when the West Branch Sportsman’s club held the first. 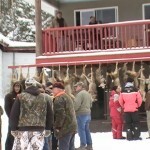 Now there are over 5 hunts similar held on the same weekend. 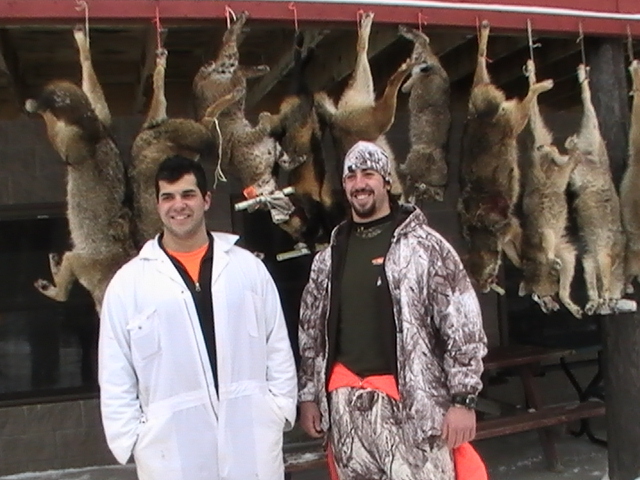 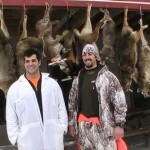 This year marked the 10th anniversary for the first place team hunters Jake and Joe Tyner. 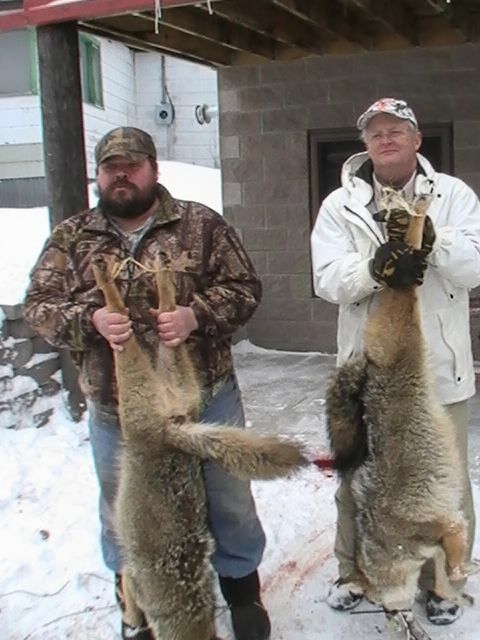 Jake and Joe not only took first in the whole event but with the largest Coyote finished with a total of 188 pounds! 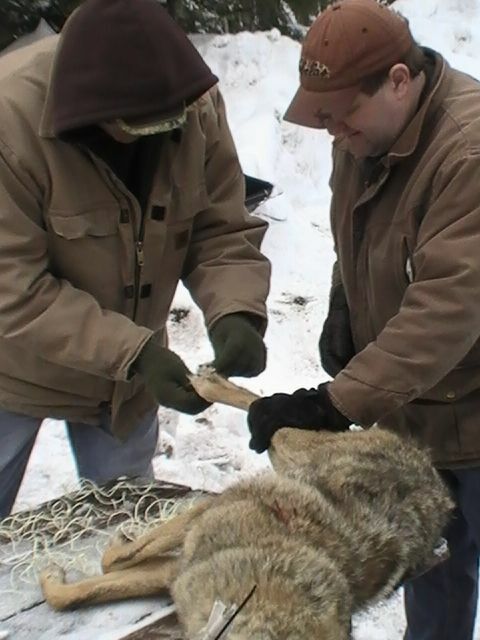 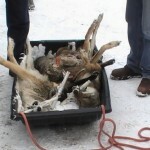 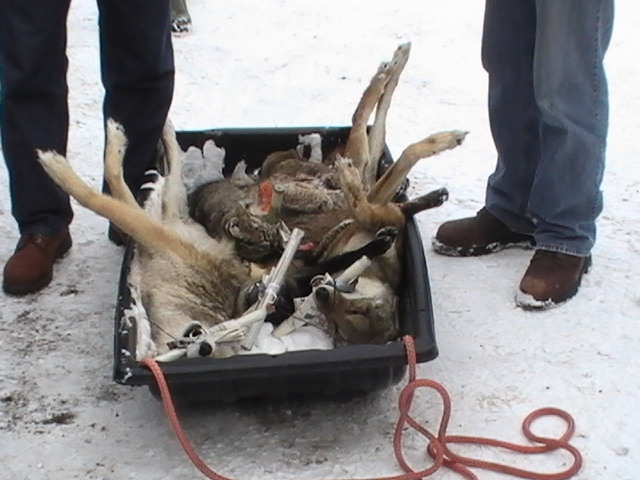 The Largest Coyote was 42.5 pounds. 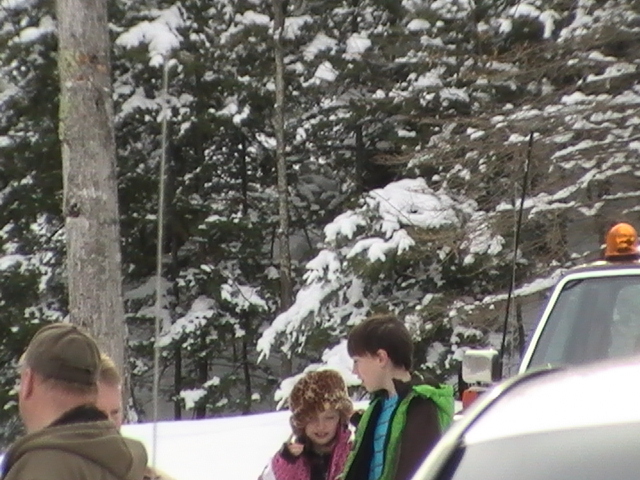 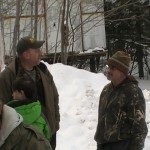 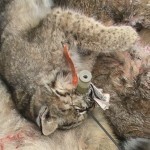 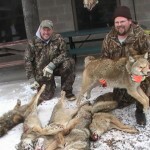 The Predator Challeng has became a whole family event for many including Chris and Mark Canfield, along with their children. 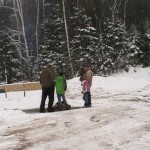 The kids have their own hunting achievements, one is involved in the Newberry kids predator hunt and the other went deer hunting and bagged a doe and a 6 pointer this year. 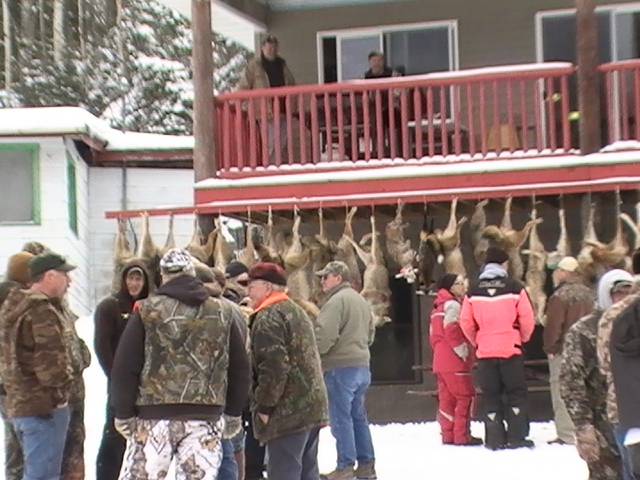 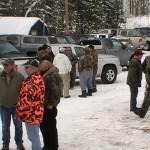 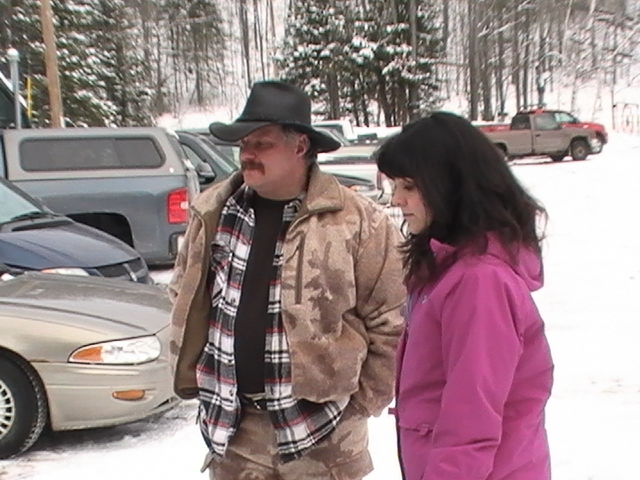 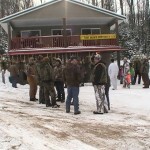 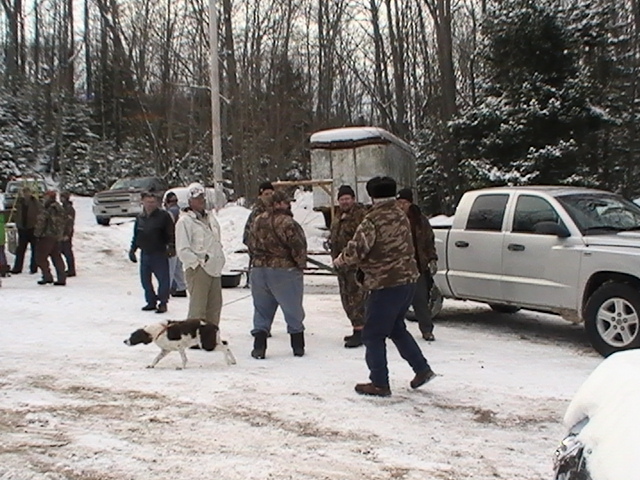 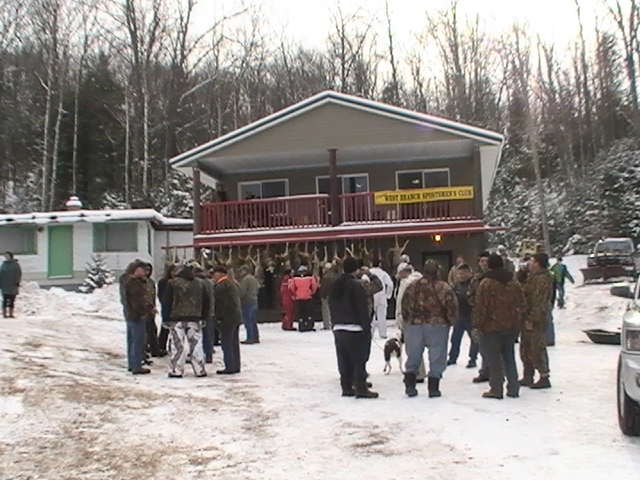 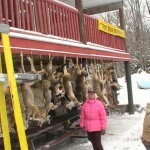 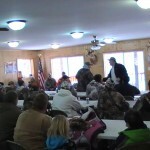 In 2007 their was a record of 176 hunters. 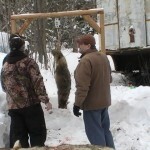 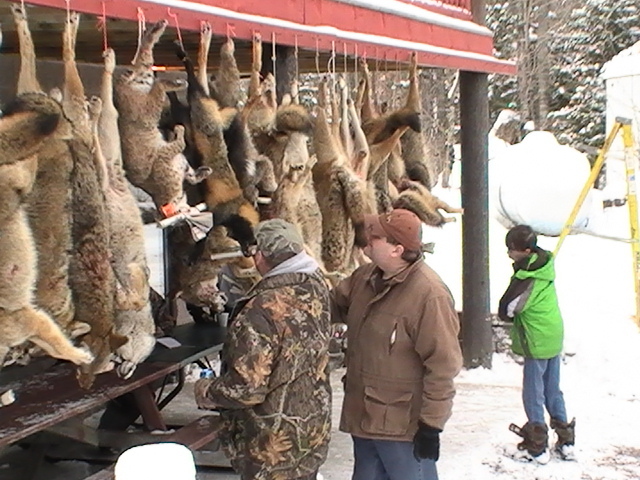 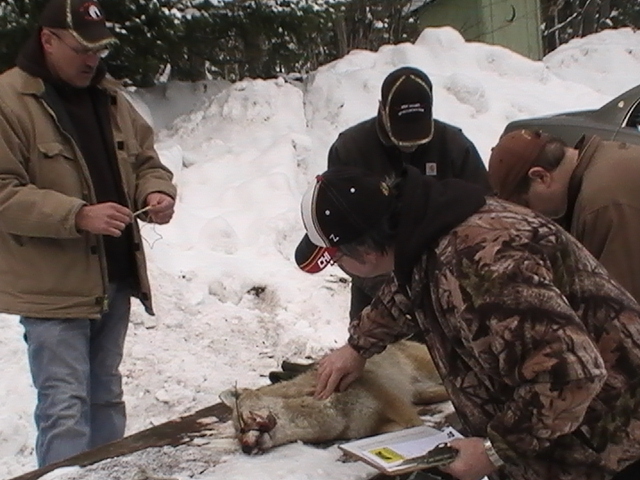 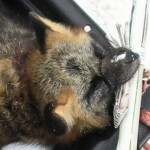 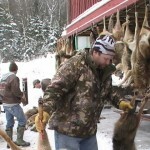 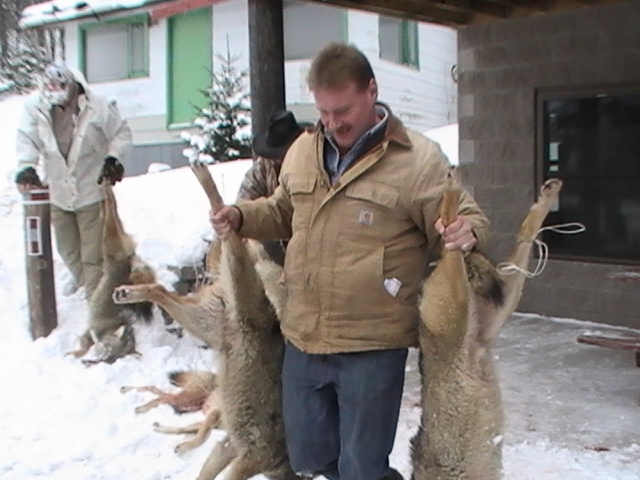 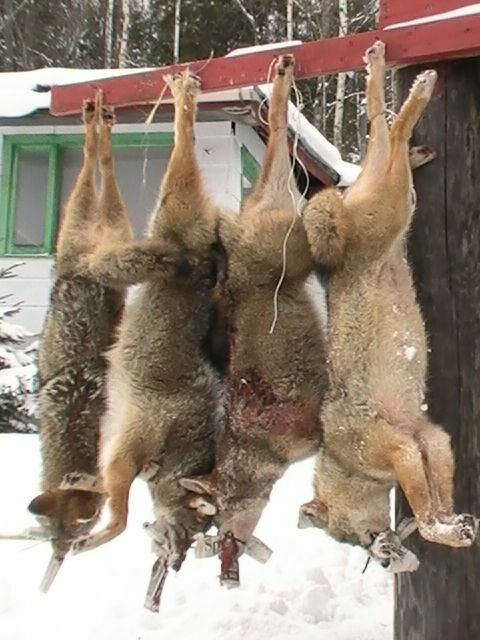 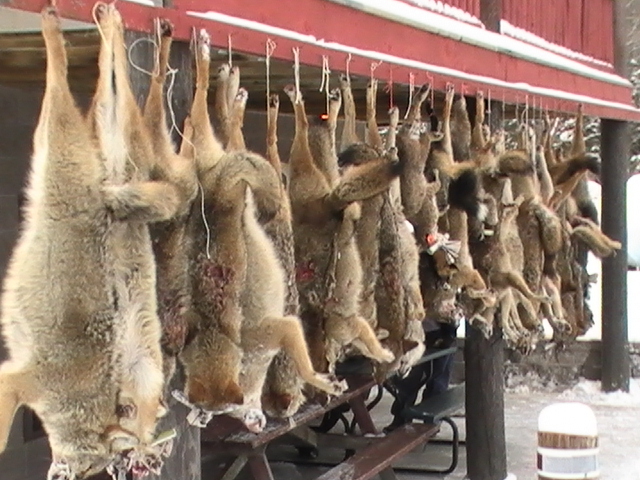 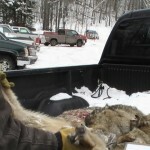 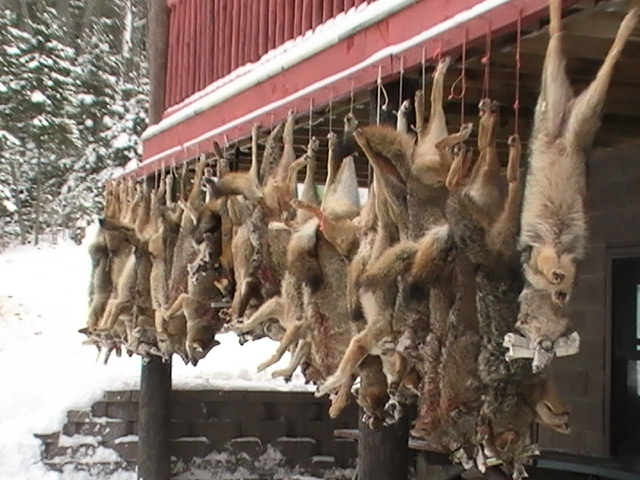 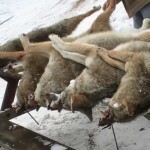 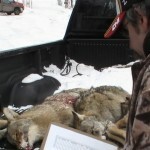 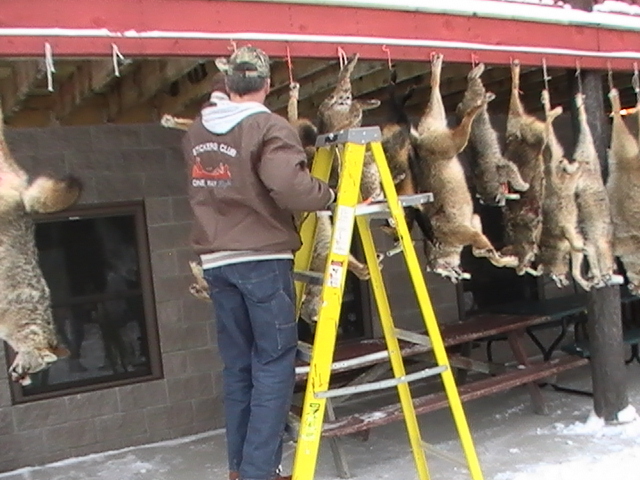 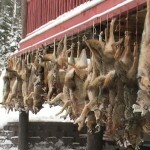 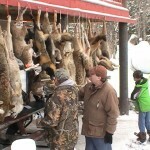 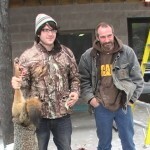 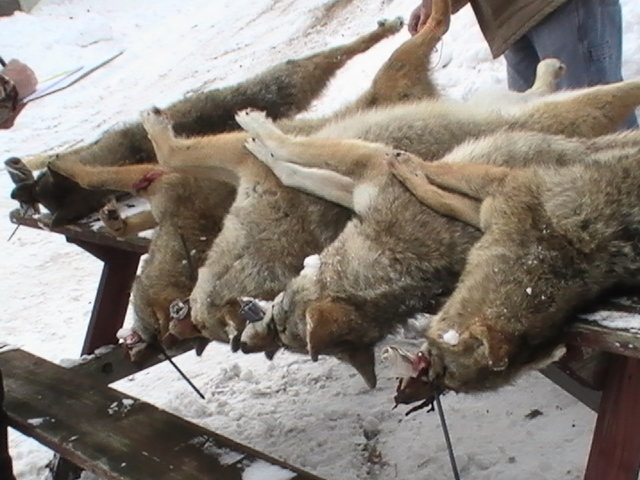 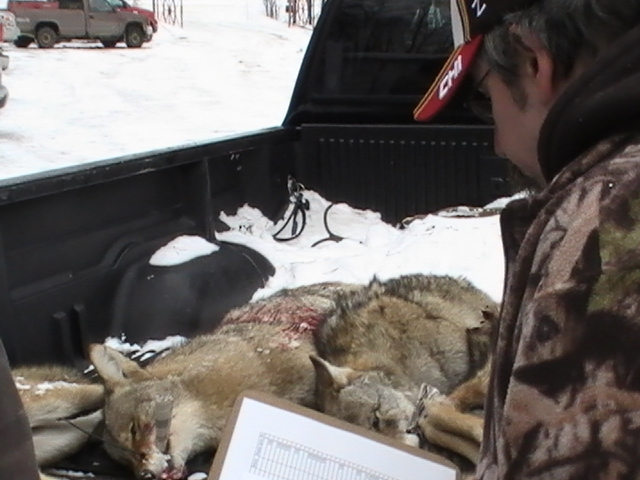 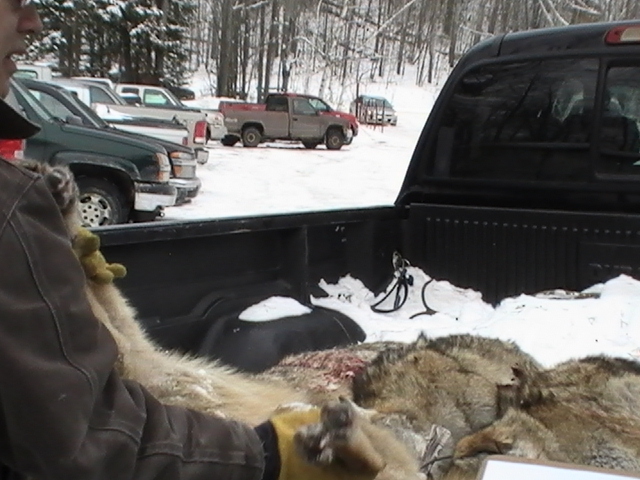 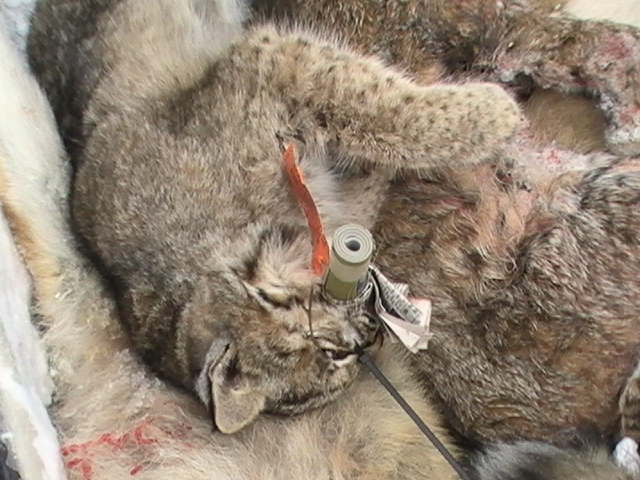 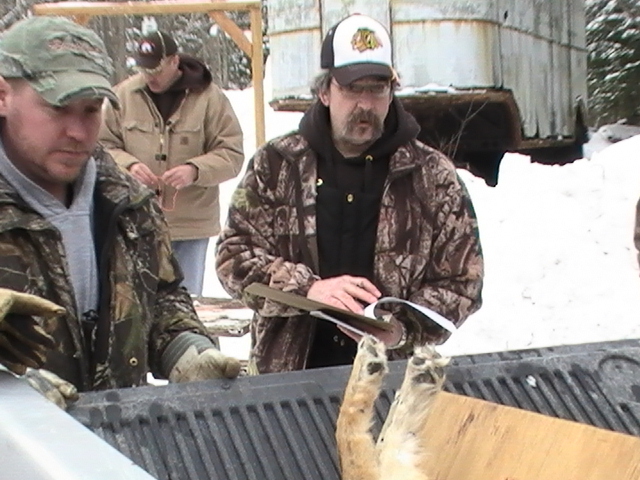 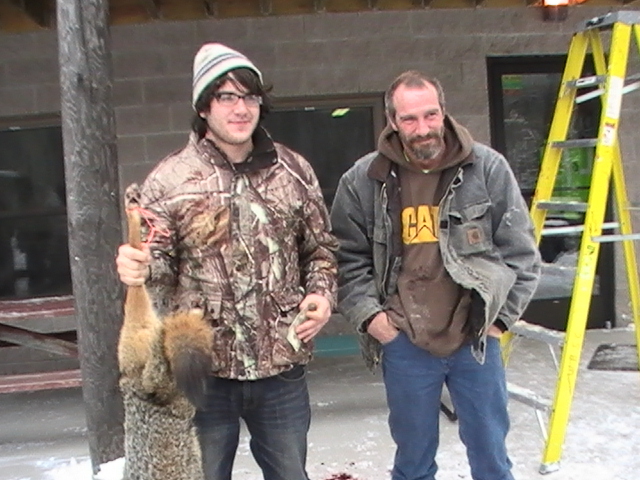 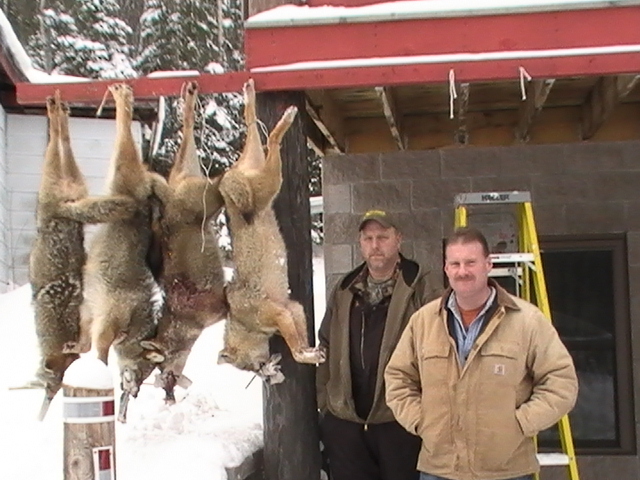 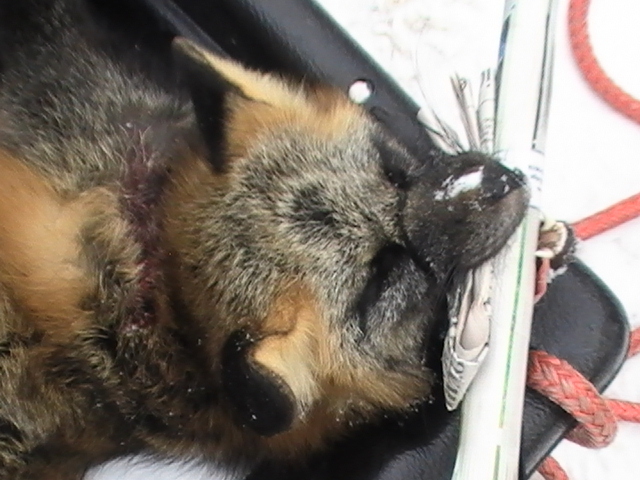 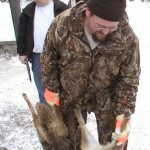 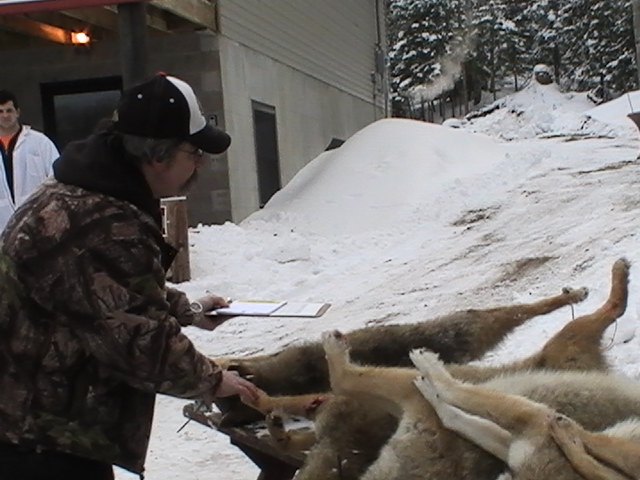 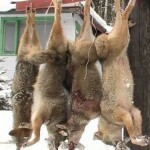 In 2010 the challenge yielded a record 55 predators, with 49 coyotes, and a couple bobcats and foxes. 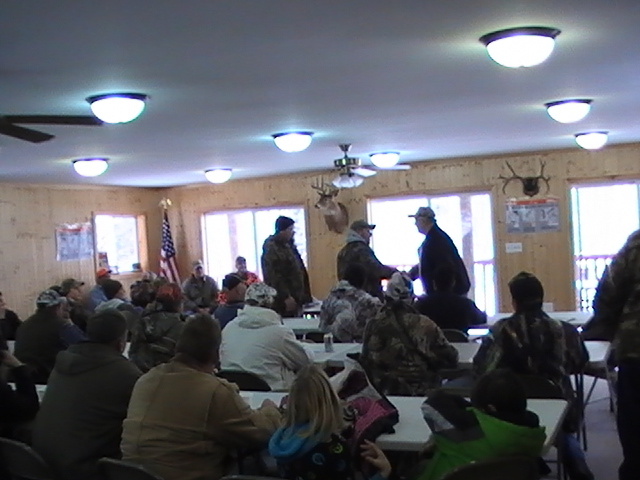 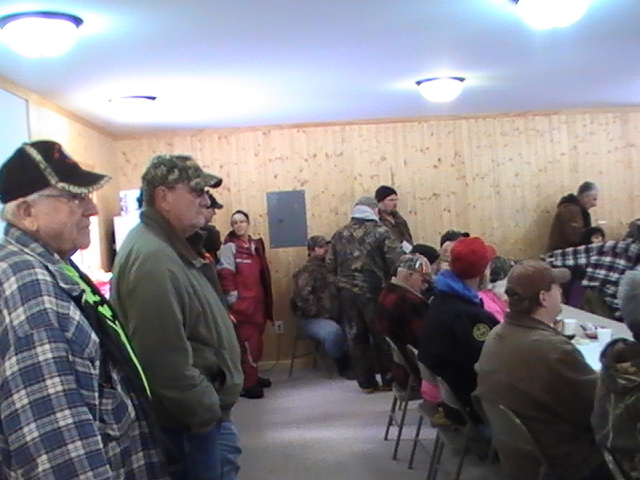 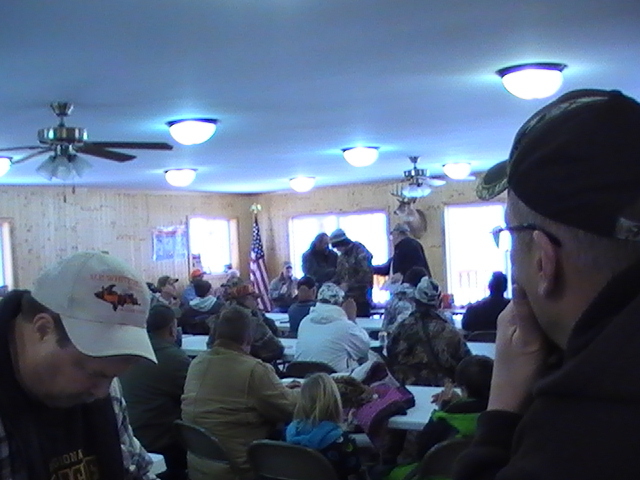 Everyone who participated had a blast and looks forward to next years HUNT! 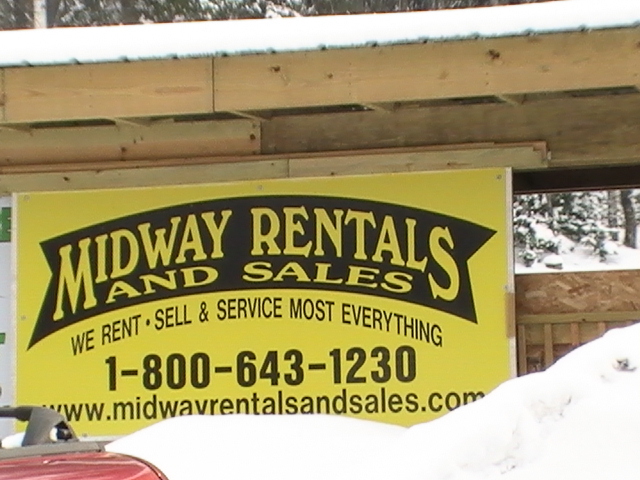 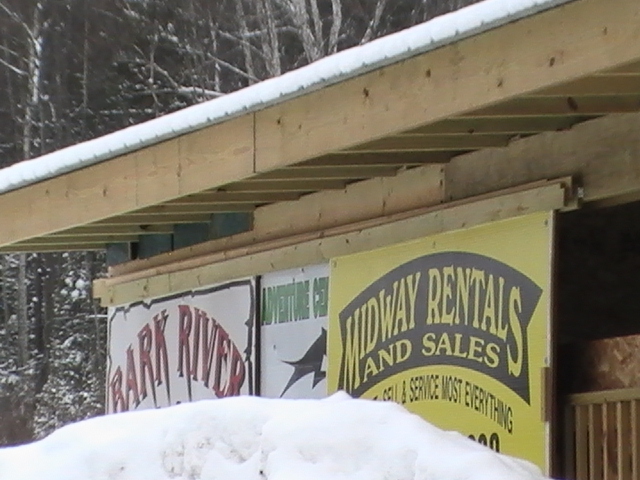 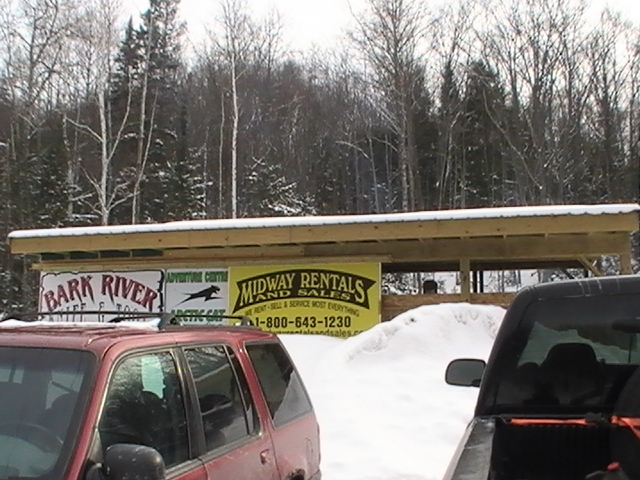 Thanks again to everyone who participated this year and to Midway Rentals and Sales for their continued Support.